A lovely book and show organized by the late Michael Stanley in the gallery of the charmingly oddball Milton Keynes council housing complex. 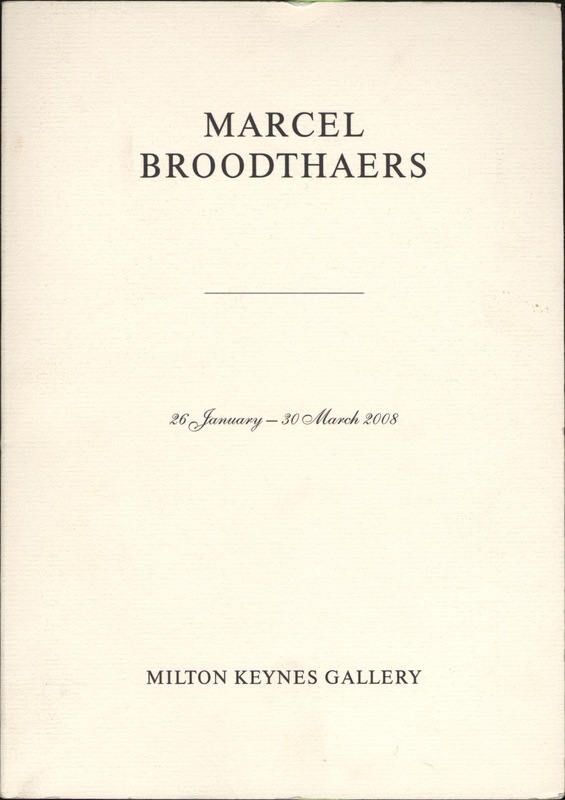 With short essays by Barry Barker, who worked with Broodthaers on his exhibition at the ICA London in 1975; Frank Maes, curator at the Stedelijk Museum voor Actuele Kunst, Ghent; and Michael Stanley, director of the Milton Keynes Gallery. Michael, it was a great show and you are still missed by this world. Milton Keynes: The Milton Keynes Gallery, 2008.